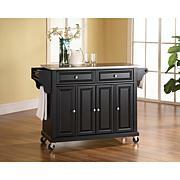 Reinvent your kitchen space in a smart and affordable way. 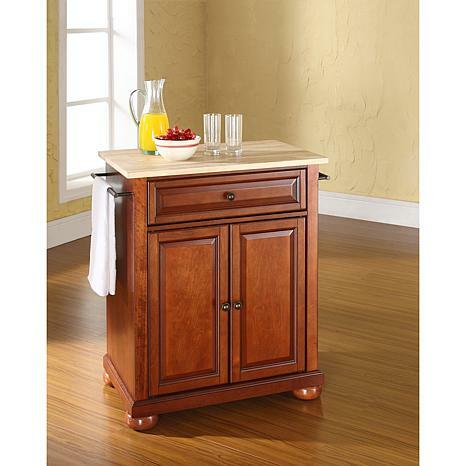 This beautiful portable kitchen island is crafted in solid hardwood and wood veneers and adds a practical, yet stylish accent to your kitchen. It includes elegant raised panel doors and a deep drawer to store anything, from utensils to storage containers. 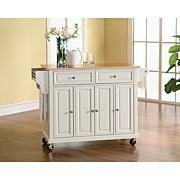 Behind the two doors, you'll find an adjustable shelf and storage space for things that you prefer to be out of sight. It's the perfect addition every home chef deserves. So glad I purchased this item for my kitchen! 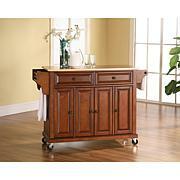 It is a very sturdy piece and looks wonderful as a small island with added cabinets for my small kitchen. Easy enough assembly, only thing you need is a screwdriver. Caution: comes in 3 separate packages and the largest is quite heavy have some help if possible.